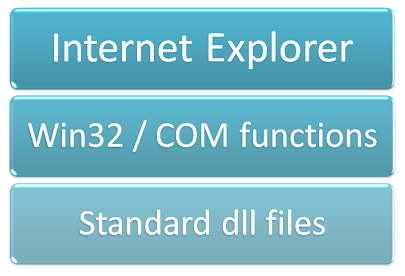 IETester is embedding multiple versions of Internet Explorer rendering engine (called Trident) into one process. Trident is an ActiveX control, thus a COM object, and can be embedded into any application. 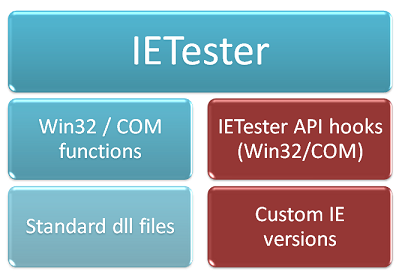 IEtester is using this logic to embed engines, but hooks the COM functions to redirect calls to custom IE versions instead of the standard one installed on the OS.